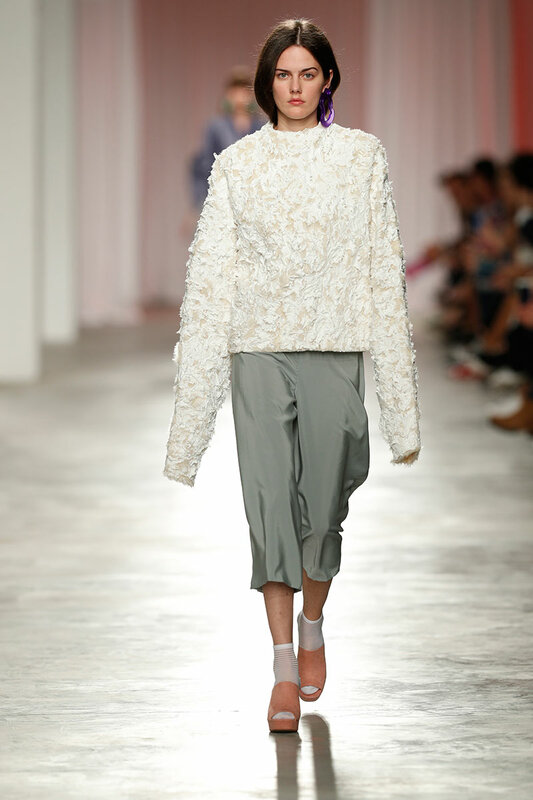 For Fall/Winter 2017/18, Portuguese designer Liliana Afonso brings an experimental collection of contrasting shapes and fabrics in a neutral colour palette. 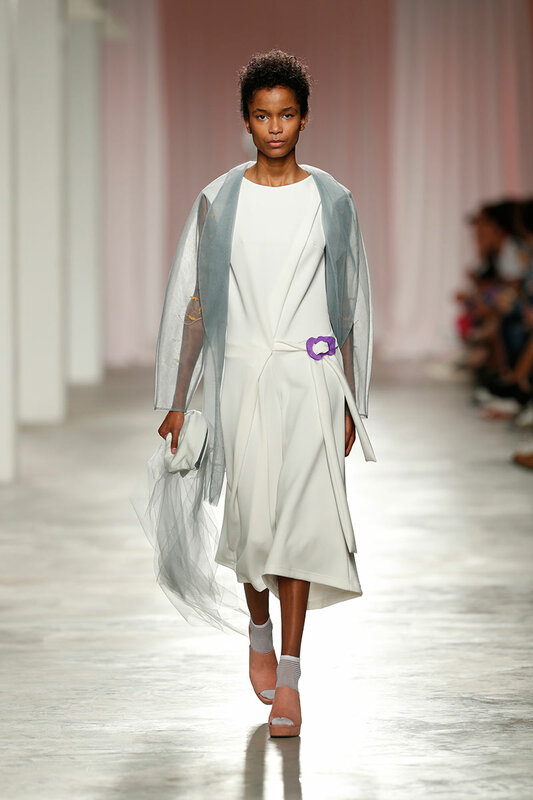 Neoprene mesh contrasts with soft silk, while oversized shapes are unexpectedly paired with translucent tulle skirts. Textured details appear here and there, blending with the solid colours. Balanced pieces that favour comfort and emanate a certain sense of tranquility. 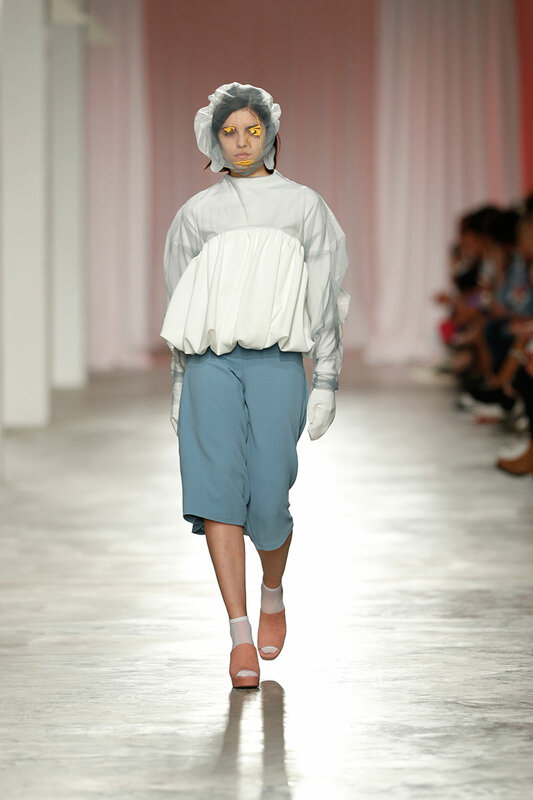 The full collection was presented at ModaLisboa (Lisbon Fashion Week), Boundless Edition.